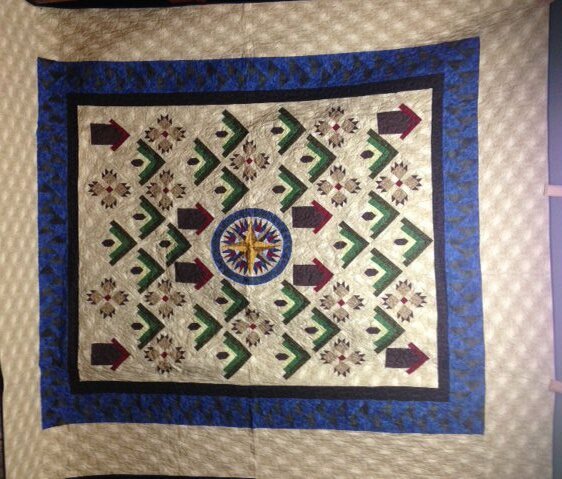 This was a TQC Mystery quilt, a simple, fun project. This Alaskan themed quilt below sports cabins among trees and bear paws. In the center is a compass. Will fit a twin or drape nicely across the foot of your queen bed for that added layer. A large selection of batiks has arrived for winter quilt classes. Check out what is available. Clearance fabric is about $3-$3.50 yard. The shelves are full. Come in and take advantage. 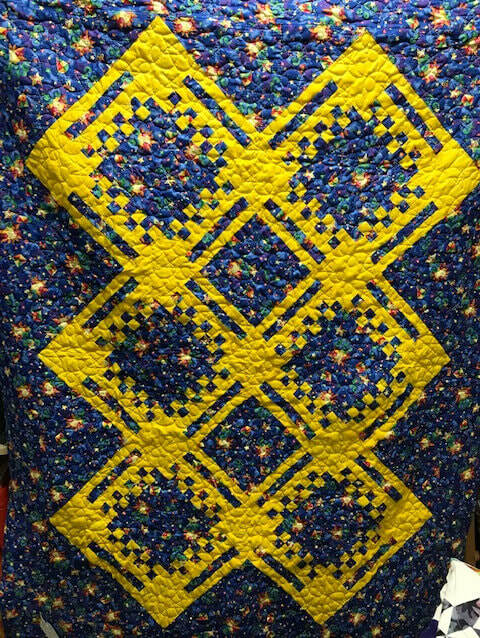 This lovely quilt is in assorted shades of blue with pale yellow accents. a lovely addition to your collection or a perfect gift for a bride.